WINDHAM — The Town Council unanimously referred proposed amendments about mineral extraction operations and development in at-risk watersheds to the Planning Board Tuesday night, despite concerns that both amendments need further revision. The mineral extraction amendments alter sections of a town ordinance regarding mineral rights exemptions, performance standards, inspections and classification of projects. Councilors discussed the need for further changes. “As far as I’m concerned, we don’t need any more quarries in Windham,” said Councilor Tim Nangle. Council Chairman Clayton Haskell assured there would be more chances for public hearings after the Planning Board reviews the amendments. The council on Oct. 16 extended for the second time a moratorium on new mineral extraction operations that it first approved in April. The moratorium came after Randy Copp presented a sketch plan to the Planning Board March 26 for a 106-acre quarry. Residents at that meeting raised concerns about quality of life, noise, traffic, safety and air and water quality, among other issues. The second set of amendments discussed Tuesday were about independent review requirements for development in at-risk watersheds. Councilor Donna Chapman would like to apply mandatory review “town-wide in the watersheds and not just most at risk.” Nangle agreed. Another topic of discussion was the restriction of construction services to the C-1 zone, “the prime commercial district,” Lessard said. 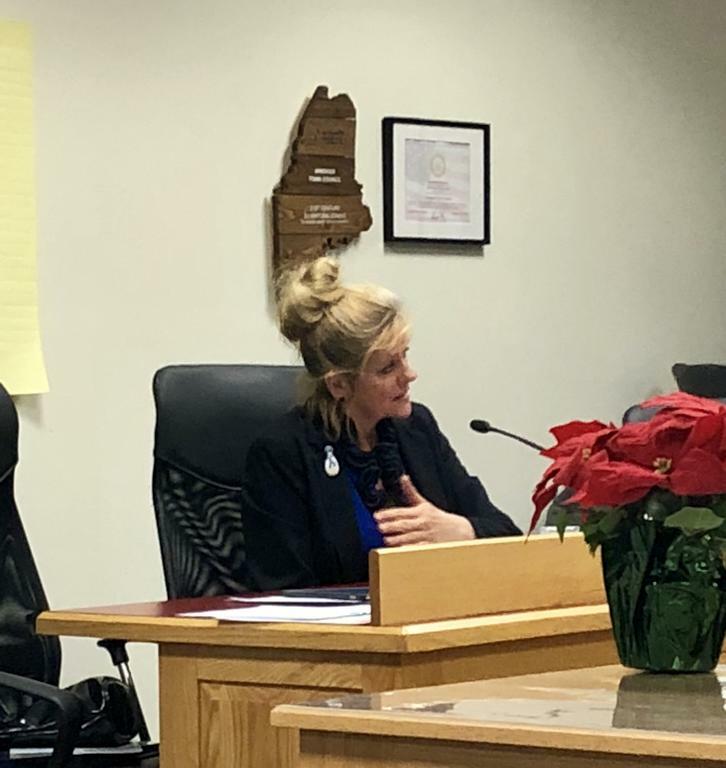 Co-owner of Water Systems Inc. Holly Tubbs spoke during public comment about the exclusion of “businesses that serve the town of Windham” from the C-3 zone. She would like construction services to be able to do business in this zone. “The way things are right now, Jesus the carpenter couldn’t get a permit in C-3,” Tubbs said. Former plumbing, heating and oil company owner Dennis Steiner agreed. “I would like to know what is so objectionable about plumbing, painting, building, well-drilling, carpentry, masonry or electricians that would cause them to be excluded from a C-3 zone,” he said. Steiner recently lost a buyer for his property because construction services are not permitted there. The issue dates back to 2016. At the March 14, 2016 Planning Board meeting, the board proposed amendments to, among other changes, allow construction services as a conditional use in C-2 and C-3 zones. The board recommended the Town Council approve the amendments, but the council voted against them. Lessard said property owners weren’t notified of the proposed amendments in 2016, and they are noticing the restriction now as they try to sell their properties. Current construction services are grandfathered in, but new buyers are not. Jane Vaughan can be reached at 780-9103 at at jvaughan@keepmecurrent.com. Councilor Donna Chapman discusses proposed amendments to town ordinances Tuesday night.